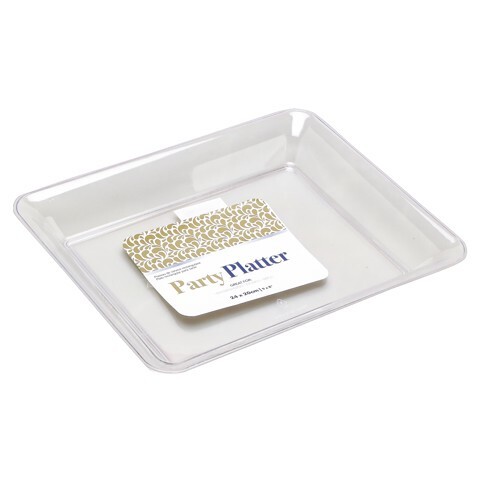 Platter Rect Clear 24X20Cm. 20 x 24 x 3.2cm l 10" x 8". Clear. PS Plastic. 100g (+/- 10%) Packaging: Polybag with Colour Paper and Barcode.